Otagi Nenbutsu-ji is a temple on the outskirts of Arashiyama with a collection of 1200 unique and whimsical statues. It’s a rarely visited and interesting place that rewards the adventurous visitor. 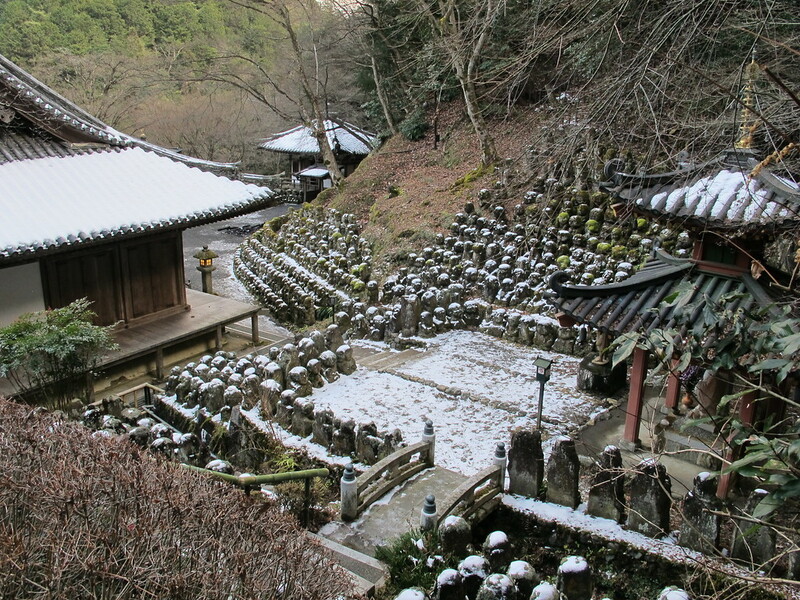 Otagi Nenbutsu-ji Temple is hidden in the hills in far western Arashiyama. It is most famous for its collection of 1200 Rakan statues that represent the disciples of the historical Buddha. 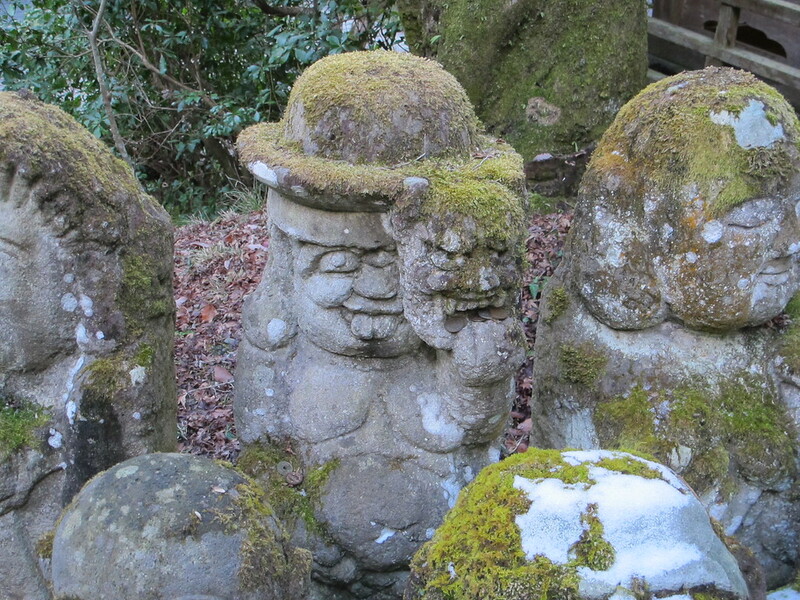 These statues are a relatively recent addition to a temple, which has a long and rather unfortunate history. 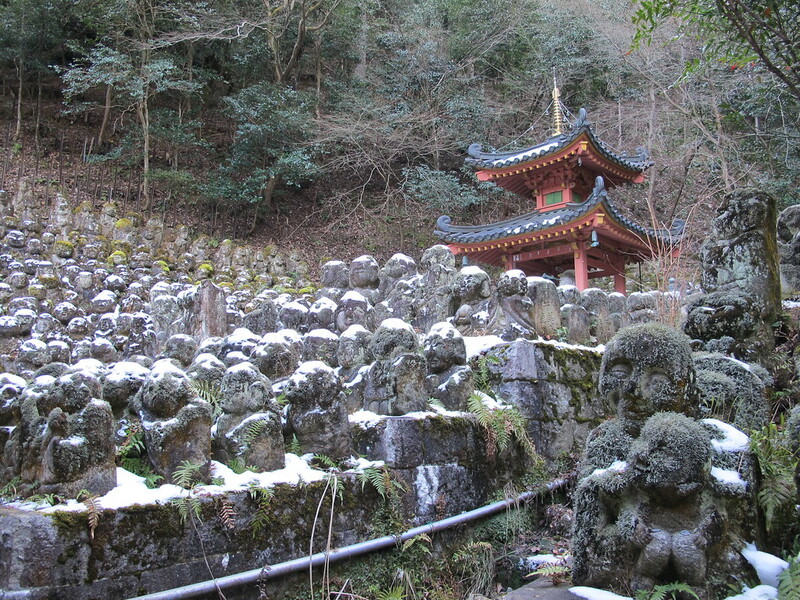 The original Otagi Temple was not built in Arashiyama, but in the Higashiyama area in 770. However, this temple was completely washed away when the nearby Kamo-gawa River flooded its banks. 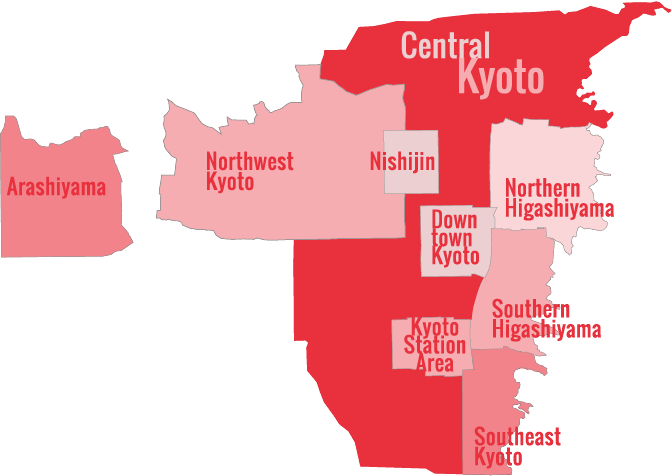 In the early years of the Heian period (794-1192) the temple was reestablished in the north-east of Kyoto. 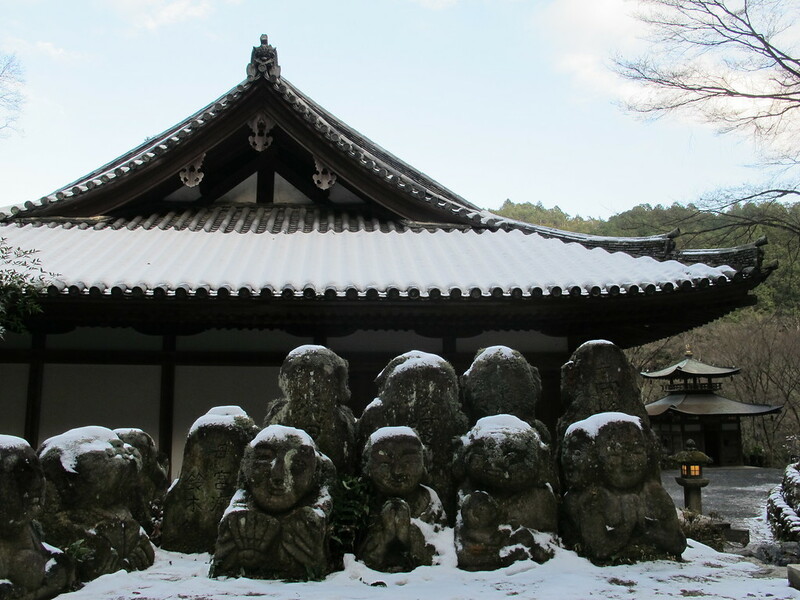 However, over time it again fell into a dilapidated condition, until only three structures were left: the main hall, the Jizo Hall and the temple gate. In 1922, to preserve what was left, it was decided to dismantle the temple’s remaining structures and reassemble them in their current location. Despite the move, the temple’s misfortunes continued when a major typhoon caused terrible damage in 1950. In 1955, the temple’s fortunes began to change when a new head priest was appointed. His name was Kocho Nishimura and he began the long process of renovating the temple. 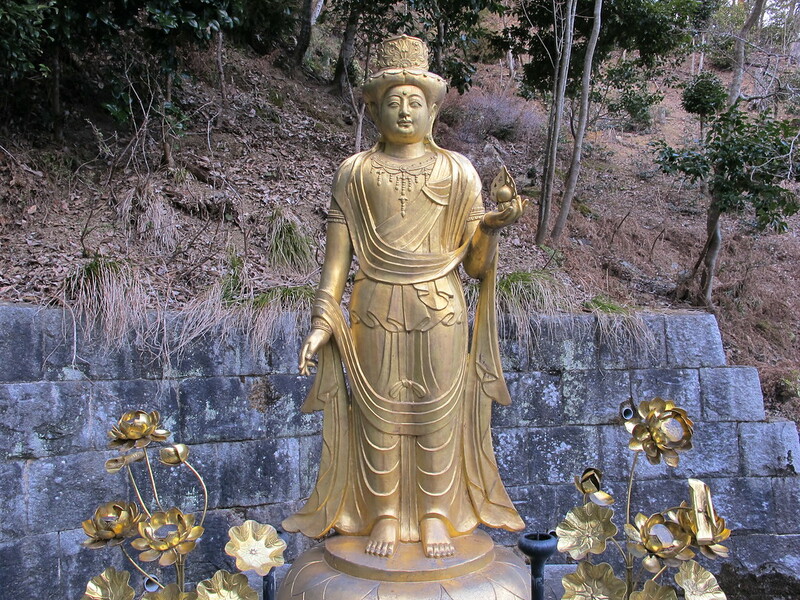 Kocho Nishimura was not only a priest but an accomplished sculptor of Buddhist statues. He hit on the idea of having visitors carve their own statues for the temple under his guidance. 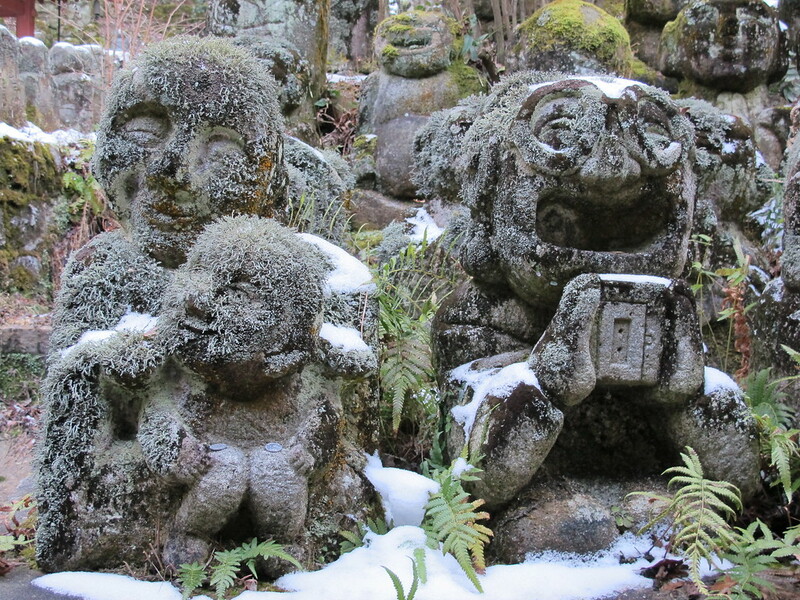 These “rakan” statues, which represent Buddha’s disciples, were all added to the temple between 1981 and 1991, but look much older as they are now fairly covered with moss. Because each statue was carved by a different person, each one is completely unique, and many have humorous expressions or whimsical poses. 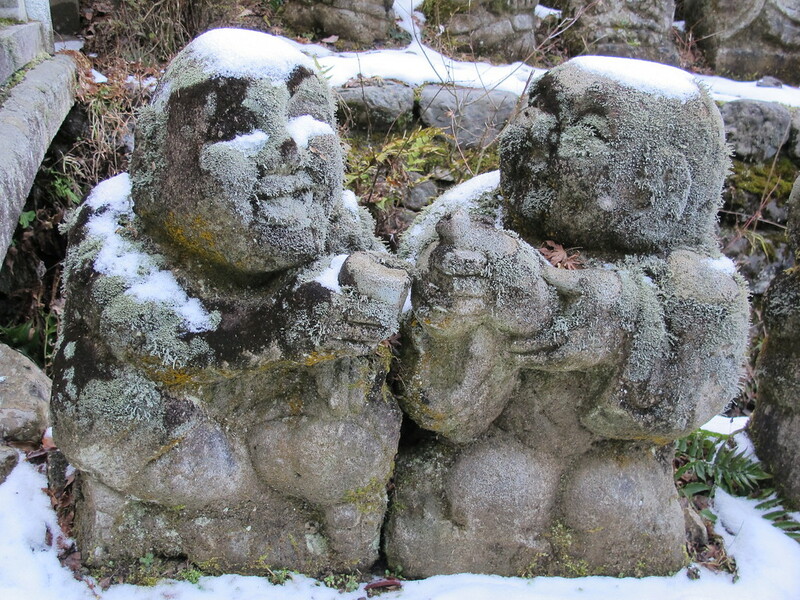 Explore the grounds and you will find a statue with a tennis racket, another with an old portable cassette player, one dandling a child on its knee and two more sharing a laugh and a cup of sake! if you are expecting Buddhist temples to be solemn and serious, then you may be surprised. What is really amazing though is that all of these statues were carved by amateurs. Kocho Nishimura must have been a good teacher! 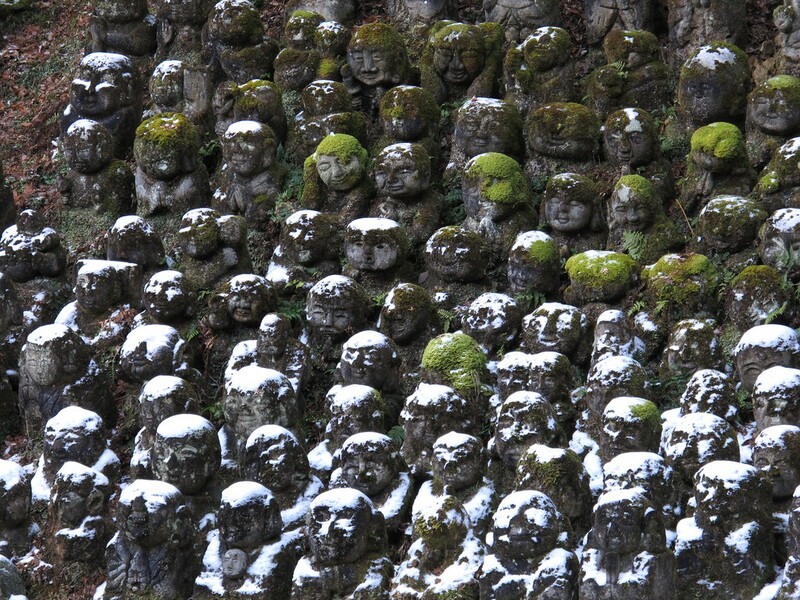 Apparently, a popular game among visitors to this temple is finding the statue that most resembles your own face. Can you see yourself in this crowd? 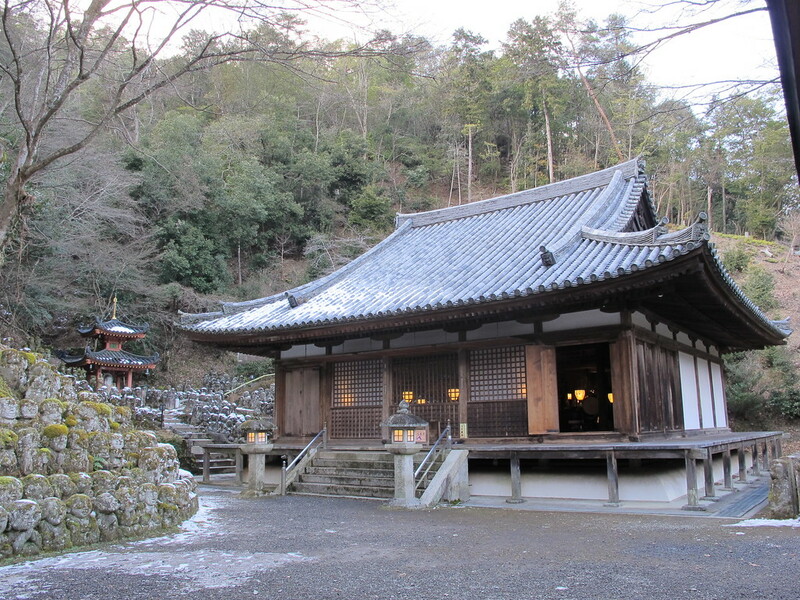 This temple is relatively cheap to enter at only 300 yen and because of its remote location, it doesn’t get crowded. On entry you will be given an English pamphlet with some information about the temple’s background, and the various statuary to be found on the grounds. It is a fascinating spot and a fun one too, so you won’t regret adding it to your itinerary.